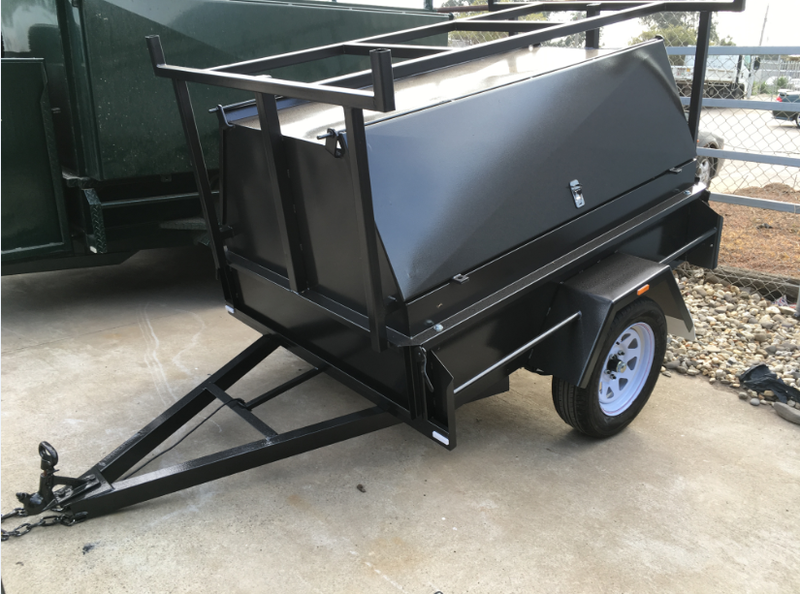 Are you in the market to purchase a new trailer? Whether you are a regular or a first time trailer user, the buying process can be time consuming, confusing and somewhat daunting. 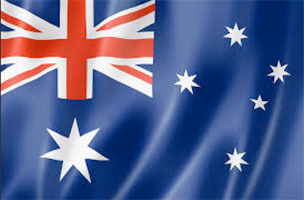 The expert crew at Trailers Down Under have made this process a whole lot easier with the following article, providing you with the essential information to assist you in the buying process. What size trailer do I need? You may already know the size trailer you require but take the time to consider any extra tasks you may use your trailer for as you may want to go to the next size up or add more features to your chosen size. Make sure to measure any specifics that you will use the trailer for as well. For example, if you plan on buying a 6×4 box trailer for general domestic duties and you think of your tall mulcher, you may then think to add a cage for extra support whilst transporting it. What is Tare, GTM, ATM, GVM, Payload & TBD? This is the mass of the trailer itself; that is the unladen weight of the trailer. This is the maximum axle load that your trailer is designed to carry. It is the combined weight of your trailer and its payload but without the Tow Ball Download [TBD] weight. Often referred to as Gross Vehicle Mass [GVM] / Weight [GVW] in the trailer industry. The ATM / ATW / GVM / GVW is the Gross Trailer Mass (GTM) plus the Tow Bar Download (see separate heading). In other words, the ATM is the maximum towing weight of the trailer. This is the maximum load the trailer can. The payload is the basically the Aggregate Trailer Mass [ATM] less the Tare Mass of the trailer. For example, a heavy duty 8×5 Tandem Trailer has a Tare Mass of 500 Kg and an Aggregate Trailer Mass [ATM] of 1990 Kg so the Payload; being the weight of the load that you can carry would be 1490 Kg without exceeding the ATM. If will be regularly carrying a certain load weight, you will be able to determine the trailer load rating best suited by adding the Payload and the Tare Mass. On the other hand, if your load weights will vary, it is best to opt for a trailer with a higher ATM/ GVM to give you that extra flexibility. How much is my vehicle able to safely tow? As mentioned in the above heading TBD, you will need to know what your vehicle’s tow bar specifications are. Your tow bar should have an information panel that shows the maximum Tow Bar Capacity [kg] and maximum Tow Bar Download [TBD] weight [kg]. Can you register your new trailer on-site at the place of purchase? Remember that that your trailer must be registered to tow it on the road. If you do not do it at the point of purchase, you will need to arrange for an unregistered permit prior to collecting your trailer. If you are a buyer from another state, please check your state’s registration requirements. Will I park my trailer outside on my property, in the garage, or on the street? You should take into consideration the type of trailer you plan to buy, what it will carry/ hold, and where it will be parked when you are not using it. An obvious example would be a Tradesman’s Trailer where you will store your tools and equipment. Does the trailer come standard with T-locks or flush button locks? Are there padlock provision tabs? Do you have a tow ball lock? a coupling lock? How will you secure it when connected to your car? There are many scenarios to consider in terms of security for all trailers. 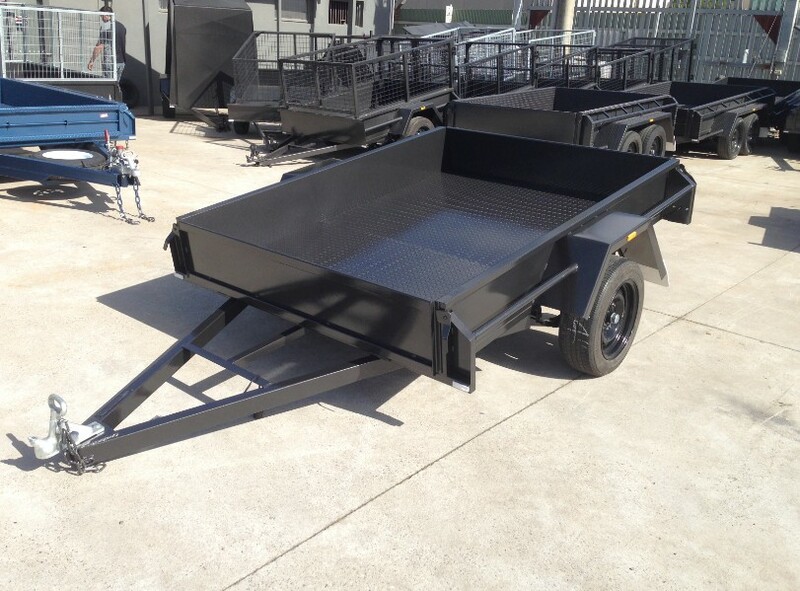 Should I choose a painted or a galvanised trailer? Another aspect to consider when storing your trailer is maintaining its finish. Will it be stored outside? If it’s a painted trailer, do you have a touch up can to seal scratches and minimise rusting? 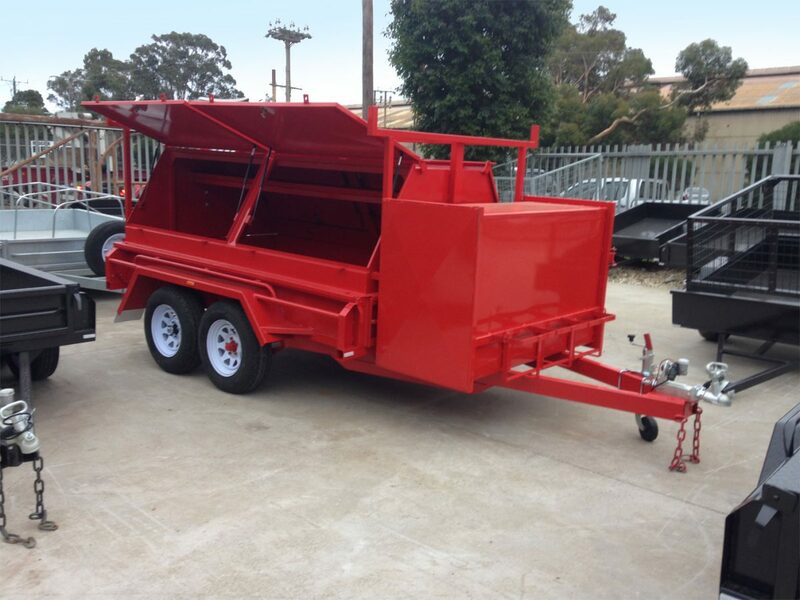 Have you contemplated buying a galvanised finish trailer if you live in rust prone areas such as along the coast? The main benefit of buying a galvanised trailer is the improved rust resistance particularly if prone to scraping the surface under heavy use and therefore longevity long term. A painted trailer however can go a long way if it is well maintained, ensuring that scratches and chips are touched up, and ideally by storing the trailer under cover. Be sure to find out if you can buy a touch up can when you take delivery of your new trailer. One benefit of a painted finish is the option of colours, particularly if to suit your business branding or to compliment your towing vehicle. In terms of construction material, there will be variations in chassis construction and surface finish. A rectangular hollow section (RHS) chassis construction is much stronger and superior to that of angle “L Shape” steel construction. On a technical level you could compare the thickness of the steel used, but generally speaking a trailer built using RHS will have a decent section thickness. The surface steel can be either smooth or checker plate, the latter being stronger and more robust. The raised sections of the checker plate also reduce the surface contact subjected to scrapes and damage. For example, if you were shovelling out the last remnants of soil from a smooth floor box trailer, the entire shovel edge will scrape against the floor; whereas if the floor was checker plate, the shovel will scrape only against the raised sections. Either way the shovel will scrape, but the paint damage will be less to the checker plate for and hence the amount of touch up paint. 7. Is the trailer welded? Why is a fully welded trailer better than a bolt-together trailer? A welded trailer is a lot stronger and safer than a ‘flat pack’ trailer that has been bolted together. 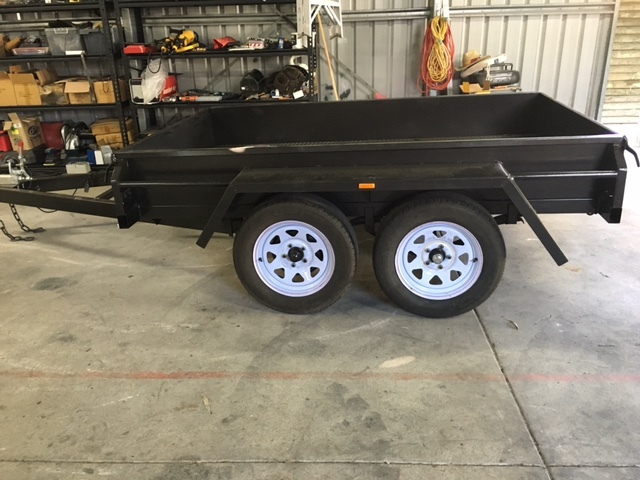 Bolt together trailers lacks the structural rigidity of a welded trailer and in some cases are unsafe; not complying to Australian Standards. Does my new trailer come with a warranty? You should ensure that your new trailer comes with a warranty, usually 12 months is standard. Check what the warranty covers, at a minimum it should cover workmanship against defects and faults. It generally will not cover against the effects of wear and tear [e.g. rust] or neglect. We hope that this article has helped by answering any questions you may have had, and that you are now ready to make your new trailer purchase.